Doc's Megasave Chemist has taken care of the Newcastle community for many years. We pride ourselves on our friendly and caring staff as well as excellent prices and a wide range of pharmacy products. Our pharmacists will take the time to work with you so you can achieve the best in health. Currently our website is being revamped so we can present you with a better online experience and more information about our products, services and people. For now, please call us, email us and most importantly come instore.. We're here to help! 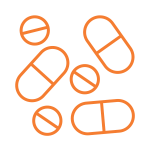 If you or a loved one are taking multiple medications and are concerned with getting it all right we can help. A Dose Administration Aid organises all of your weekly medicine doses into one pack. 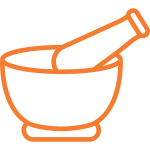 We offer a full compounding service to prepare specialised tailored medicines and products that are not available in 'pre-made' or 'proprietary' forms. We're here to maintain the health and wellbeing of you! I'm very proud of my team at On's Pharmacy. We treat our customers like family and go the extra mile to give personal service. 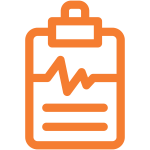 We aim to provide high quality and professional service to our customers by ensuring we take the time to explain your medication and doctors instructions. All of our Pharmacists and Pharmacy Team are up to date with their professional knowledge and quite often complete regular training sesssions to ensure our service and advice is the best it can be. All my staff share my values and know that being trusted, reliable and down to earth will mean success for us all. I invite you to experience the On's Pharmacy difference.